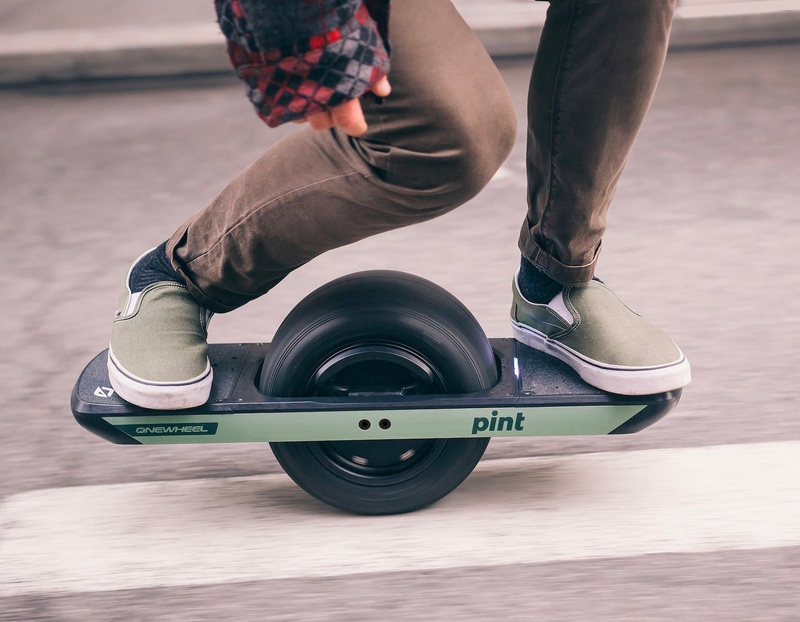 The latest Onewheel is powered by a brushless, Hypercore electric motor & Li-Ion batteries that give it a 5-7 mile range at speeds up to 19MPH, the Onewheel Plus is a vehicle like no other. It goes up hill and down, off-road, and down the sidewalk in style. 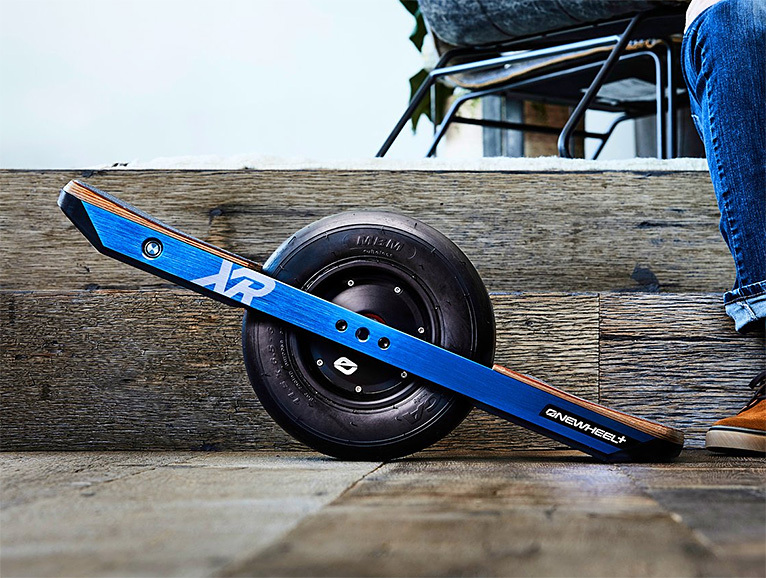 With a top speed of 19 MPH and a much longer 12-18 mile range, the new Onewheel+ XR electric “vehicle” will take you even farther whether you’re hitting the streets or taking it off-road. 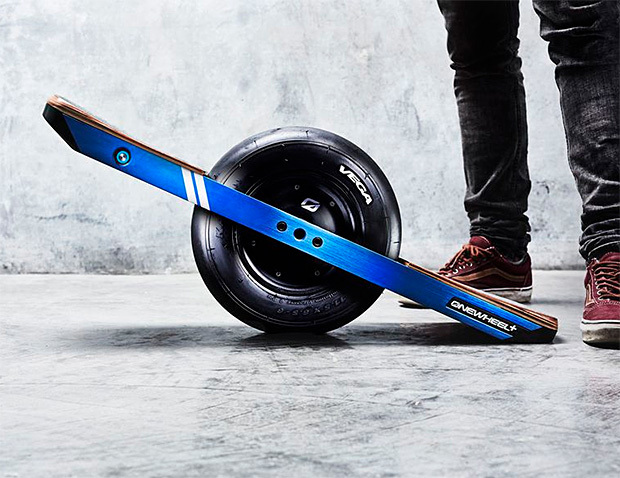 It also has an upgraded braking system for crushing hills. Made in the USA. 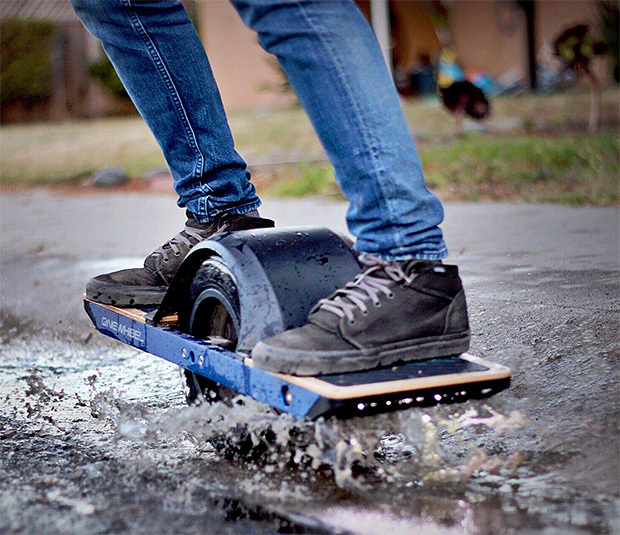 A sort of sideways, not-as-dopey-looking Segway, the Onewheel is a skate/surf/snowboard-like electric ride that goes 15MPH. 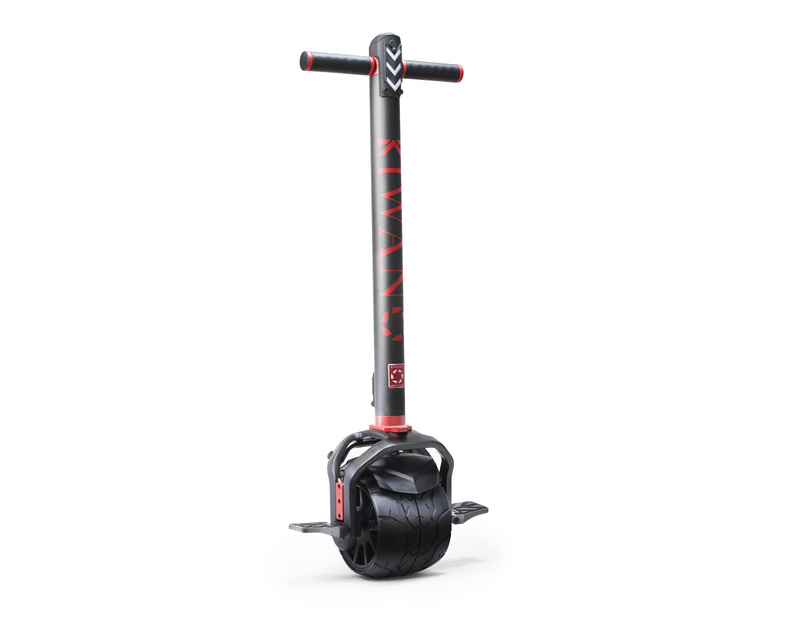 Dynamic stabilization provides easy lean & go control and smooth turnability. The range is 6-7 miles with a 20-minute recharge time.